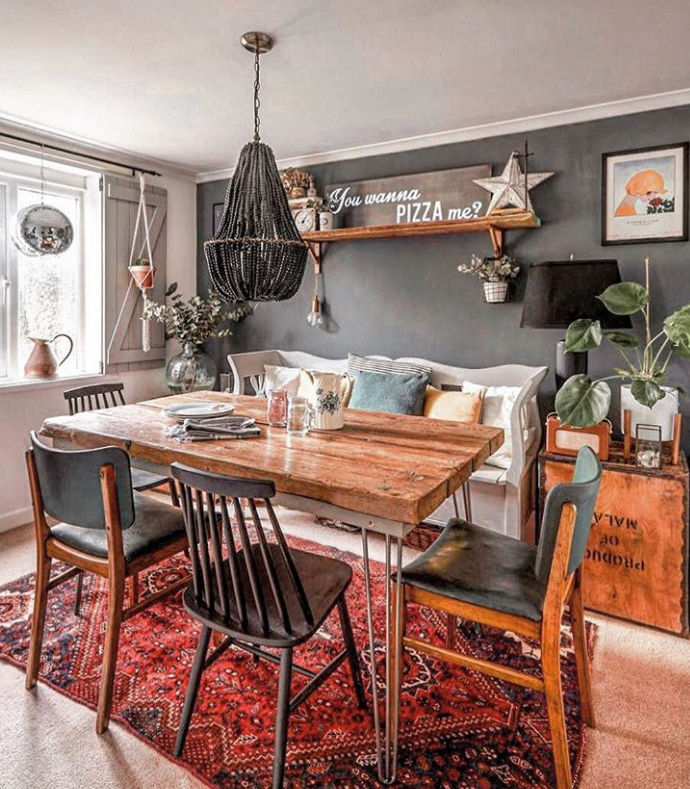 For anyone that saw my first dining room makeover, it may seem like I’ve only just done it but believe it or not that was actually two years. We don’t eat in our dining room very often but the boys use it to draw a lot and if it wasn’t a dining room it would become a dumping ground for everything that hasn’t got a home so it’s better that it serves a purpose. 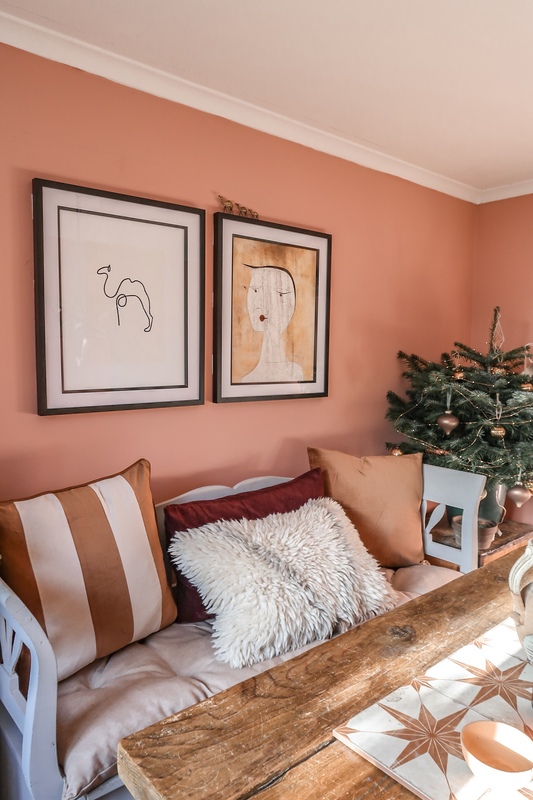 This makeover commenced when Valspar paint asked me to collaborate with them on Instagram for their campaign ‘Pink October’, they only asked me to paint something pink, but me being me, I had bigger ideas. 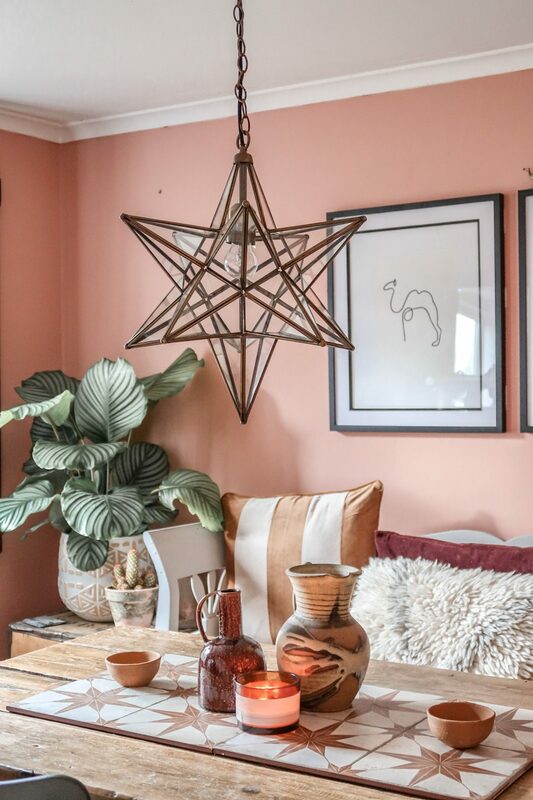 The shade of pink I opted for was called ‘Terracotta Blush’ I chose it because it reminded me a lot of a colour you might see in Morocco, which turned out to be a huge influence on the rooms aesthetic. 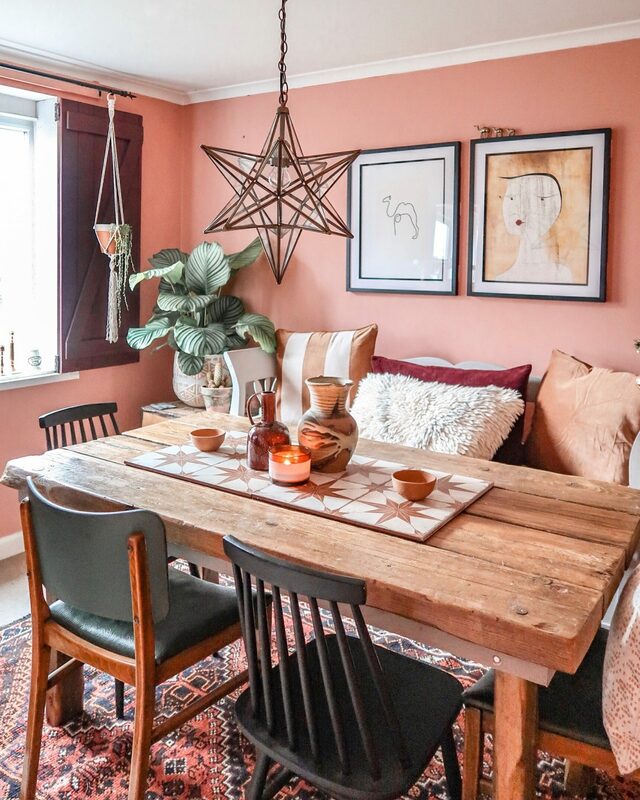 I had wanted to spruce up the dining room for ages, so although I probably would have never thought to paint it pink, i’m glad I stepped outside of my comfort zone because i’m so happy with the result. 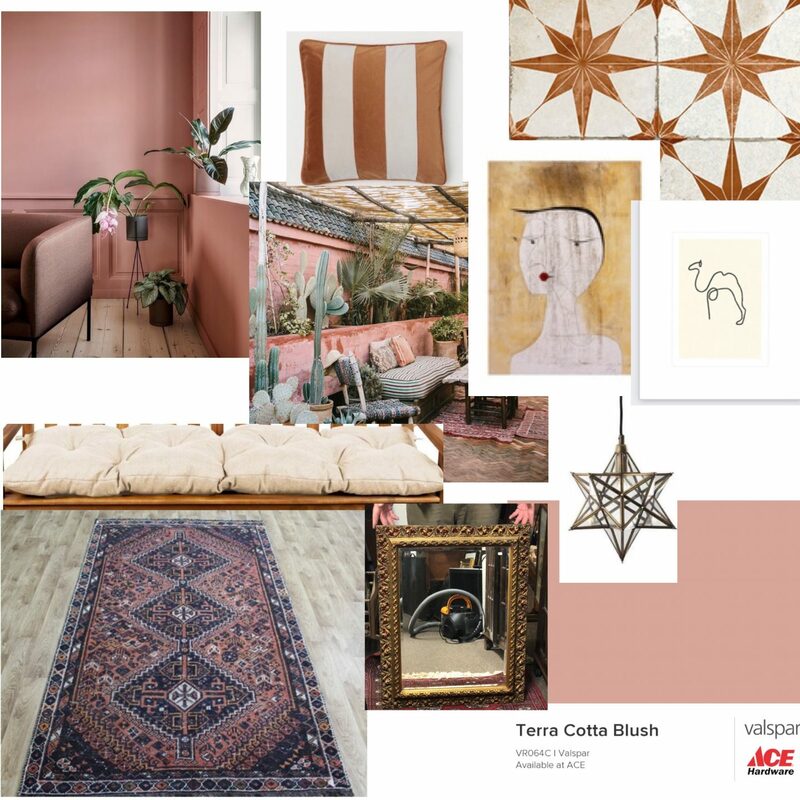 The first thing I did was create a moodboard to help visualise what the finished room would look like. I always do this when designing a space to avoid making any mistakes along the way. 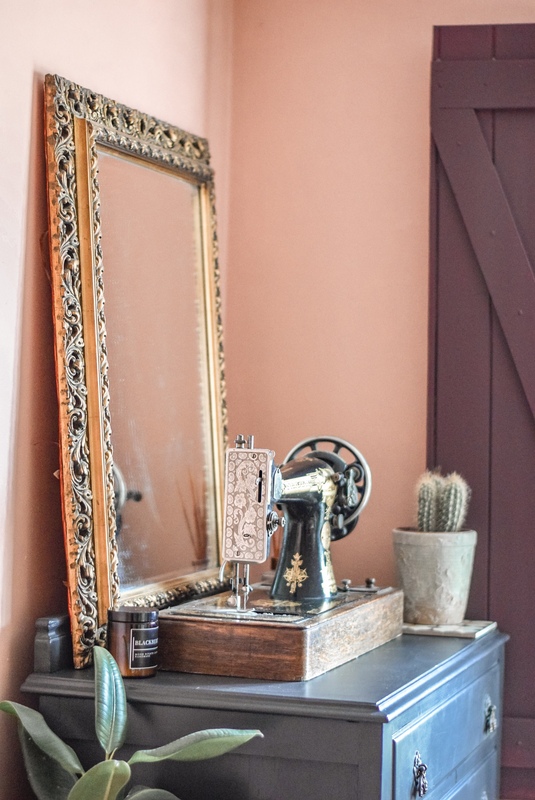 The colour on the walls is Terracotta Pink by Valspar. 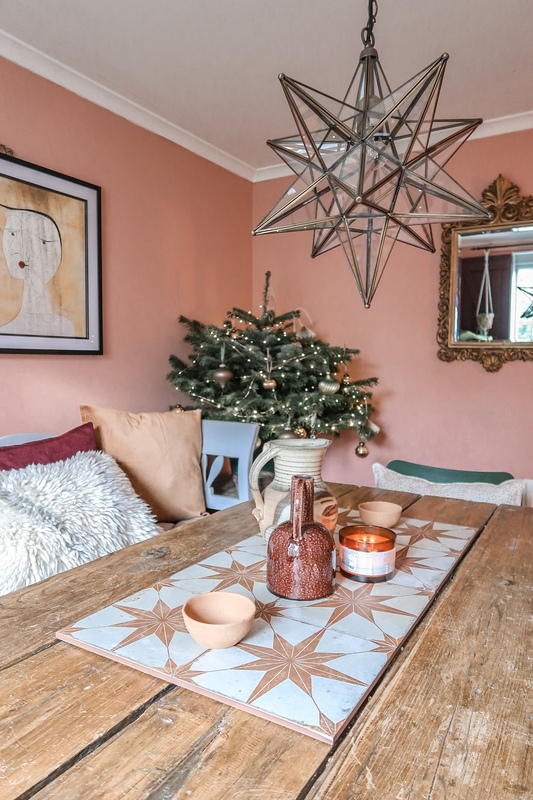 One of my absolute favourite things in this room is the pendant light by Dar Lighting from an amazing stockist called Castlegate lights. This particular light is the Ilario large pendant light which comes in a smaller size too. 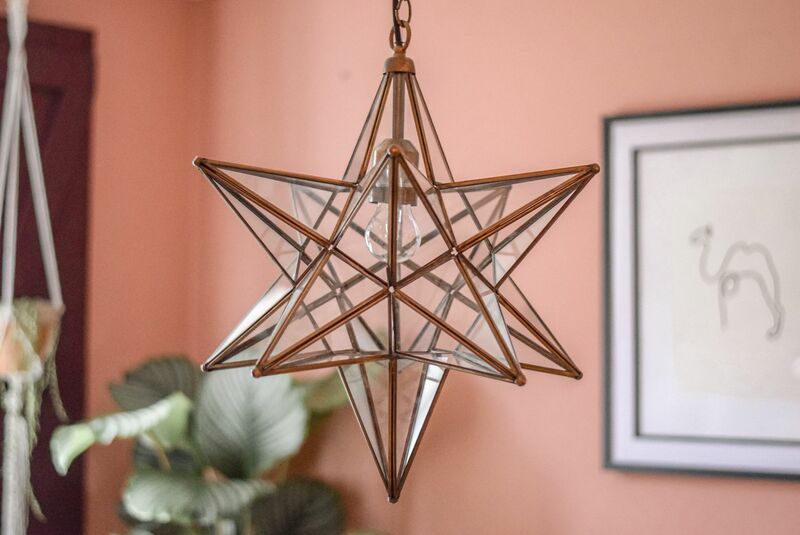 As the main light is in the centre of the table, it needed to be striking and I think this star style pendant is an absolute show stopper! It looks beautiful lit up too! One thing I wanted to do when redesigning this room was to strip it back and take out anything unnecessary, which meant taking down the shelf above the bench and replacing it with two simple prints. The prints are ‘Camel’ by Pablo Picasso and ‘Sealed Woman’ by Paul Klee. You might notice on top of one of the print, three very cute brass camels. 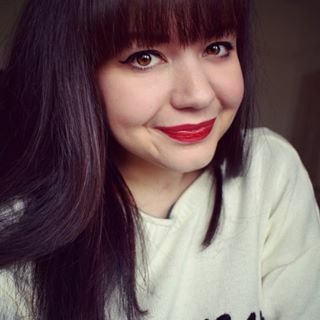 I picked these up from a lovely online, independent vintage boutique called Lost & loved. 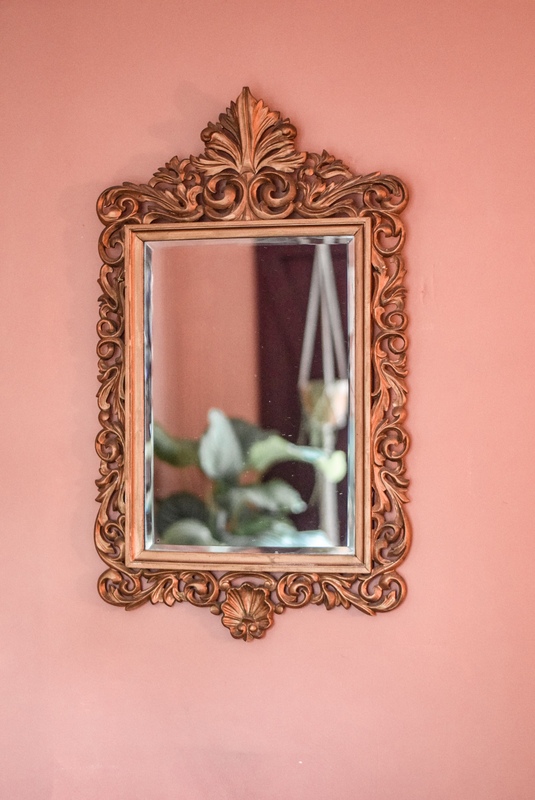 I purchased two decorative gold mirrors, one from a local antique shop and the other from ebay. 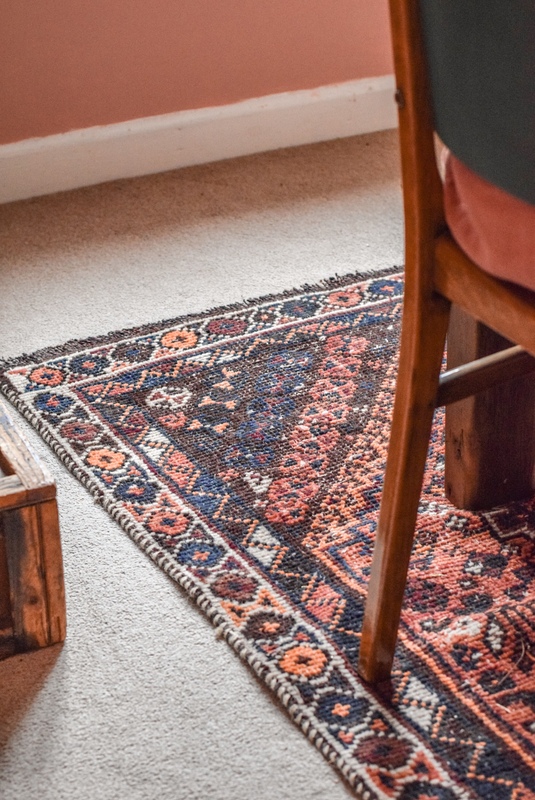 The rug is also vintage and from ebay. In the middle of the table are some large tile samples I purchased online. I did originally put them on the tea chest side tables but they were too hidden. I much prefer them in the middle of the dining table. I gave the shutters a lick of deep burgundy paint and painted the storage unit black. If you have seen anything that I haven’t mentioned and you would like to know where it’s from, please let me know. 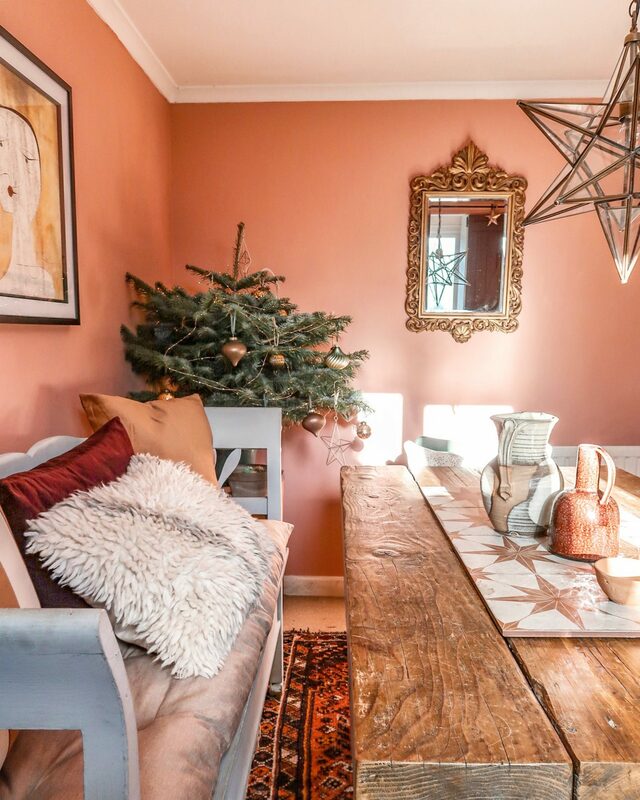 I hope you have enjoyed seeing my new dining room, I’d love to know what you think. *The pendant light was gifted to me by Castlegate lights but all views and opinions on this product are my own. We have re-painted our bedroom and decided to go for a pink feature wall! We was umming and ahhing at first, but are so glad that we did it because it looks lovely!